Aahh, wine. One of the strongest products exported in the U.S. Germany's economic growth now continues, which makes them next to China as top exporters in the world. 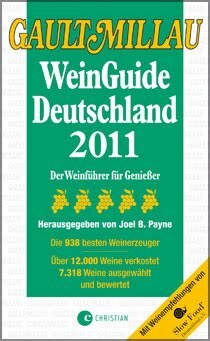 Weingut Leitz always brings great surprises in their wines and the taste must be really a favorite of the executives of the world; so, there's no surprise that they're being recognized as Winemaker of the Year; although, I can say that their winery looks quite modest. I just had the Dragonstone Riesling for the first time this past weekend and I was pleasantly surprised by it. I've been trying to find some new wines to try while I am exploring the whole wide world of wine. However, I'm not sure I could sit down and read 912 pages of reviews! Thanks for breaking down the essentials! Come check out my blog at www.subtlebalance.com and let me know if you have any suggestions of wines we should try.